Take this online test to check your knowledge about changing mixed numbers to improper fractions and improper fractions to mixed numbers. This test has ten problems that check how well you can change mixed numbers to improper fractions and how well you can change improper fractions to mixed numbers. 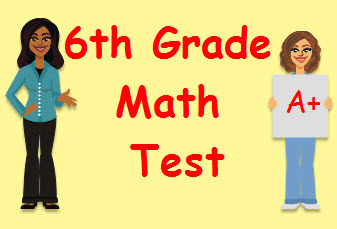 Return from this Mixed Numbers and Improper Fractions Math Test to the Middle School Math Tests, 6th Grade Math Tests webpage, or to Math Tests.